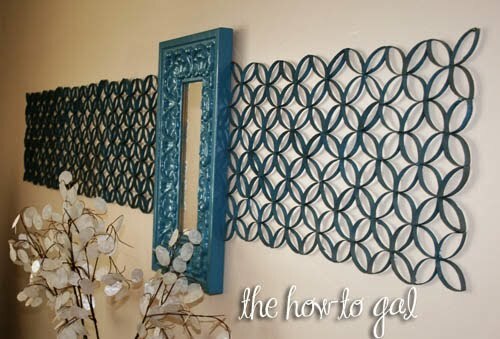 The How-To Gal: MY Blank Wall Solution! Remember how I was complaining a couple weeks ago about not knowing what to do about a huge blank wall in my bedroom? Well, I found a solution! Another version of my TP art. 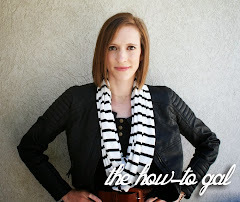 I will be doing the how-to on Reinvented sometime this week, so I'll be sure to link up! I like this color blue. Ok, miss amazing...look at you go...super duper cute! this looks great! well done. I have been saving allllll my toilet paper tubes :) Saw you're last one and I think I love this one even better :) We have a lot of blank walls, so this will be fun!! I love this! Do I even need to say that I've been saving my toilet paper rolls since your first post about them? I can't wait to give this a try! You are just ridiculous. Seriously. Now that's a great idea! It looks amazing and you'd never think it was made from TP rolls. Great job!! totally had the same issue in my bedroom and i covered a huge portion of it with fabric. great minds think alike, i guess! Wow, that is so creative!!! Thank you for sharing!!! I love this! I'm going to do this somewhere in my house if I can convince my husband to let me!